This is a great refreshing smoothie, thanks to the frozen pineapple which makes a perfect addition to the basil and coconut water. 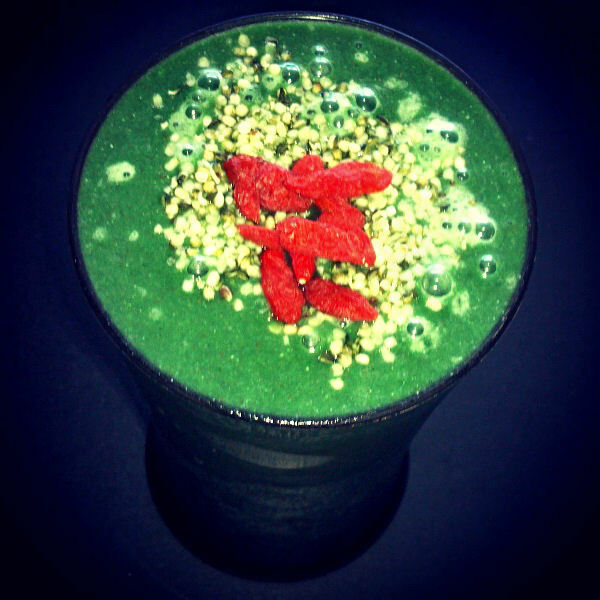 This smoothie would actually be lighter in color from the pictures without the addition of spirulina, which is an optional addition. Blend all together until thick, creamy and icy. If you need more liquid, add more coconut water or regular filtered water. 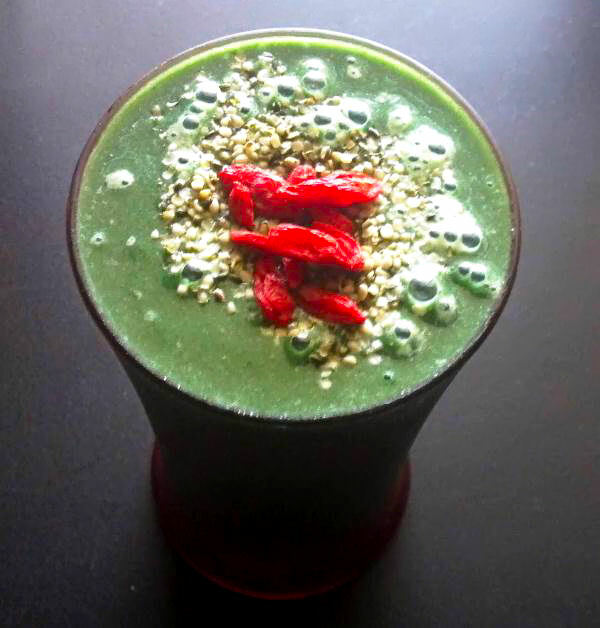 Top with hemp seeds and goji berries like the picture, or whatever other goodness you have laying around. Then drink up!